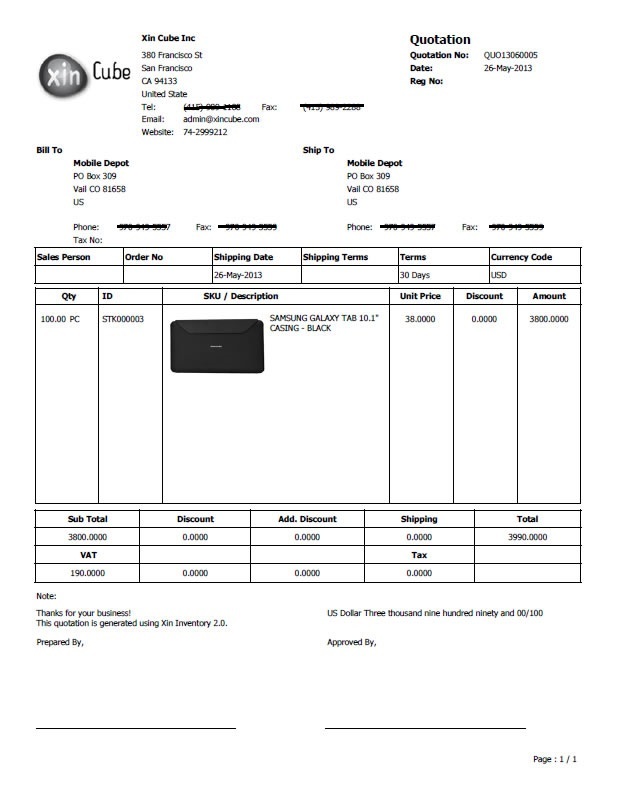 Xin Inventory 2.0 is a inventory control invoice software. What do we mean by that? This simply mean that every stock in and out is identical. 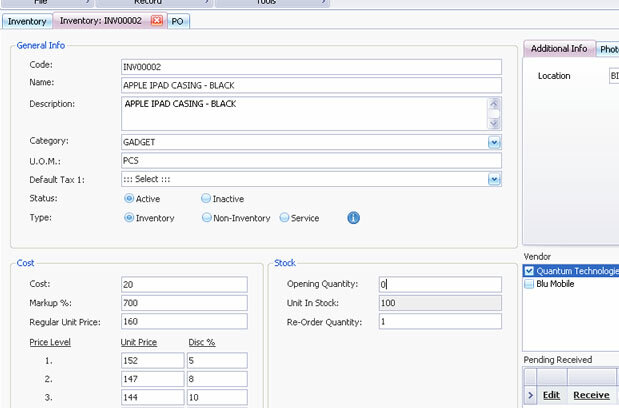 If a user using the system each time there is stock in or stock out, the amount of the physical stock in the store should be 100% tally with the system. In Xin Inventory, user able to select when to deduct the stock. They can select either deduct when create invoice or during delivery note generation. Same apply to stock increment, user can select o increase the stock when generate purchase order or during store receive the goods. Others than that, user able to set re order quantity for each inventory so that the stock are always in the the correct level and quantity.